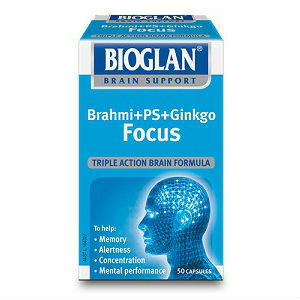 This is a review of Bioglan Brahmi Focus 50s . The manufacturer claims that this product can enhance concentration, attention span, retention, blood circulation, learning, and alertness. It can also improve your memory and brain function. You will learn more about this product as you read further. 4 grams of Bacopa monnieri extract (Brahmi or Water Hyssop)- plays a significant role in improving memory, learning, and the ability to process information. It is an antioxidant that supports body cells and offers protection against possible damage from free radicals. 9 grams of Ginkgo biloba extracts- contributes to increased attention span. It also contributes to improved blood circulation, memory, and learning. 7 milligrams of Soy Phosphatidylserine abbreviated as PS- contribute to a healthy and functional brain. Adults should take one to three capsules daily. Children above 12 years should take one capsule daily. These capsules should be taken with food. Users may also use this product according to the prescription of a health care practitioner. Users should take these capsules on a daily basis to obtain the best effects. A package of 50 capsules will cost you $43.95. This is a high price compared to the prices of similar products. We believe that this price denotes quality. We did not find any information about discounts from the seller or manufacturer. There is no information about a money-back guarantee for this product. The absence of a satisfaction guarantee may be a critical concern for potential users who want to use this product for the first time. Moreover, there are no customer reviews to ascertain whether this product has been successful in achieving the alleged functions. This product may be helpful for enhancing alertness, concentration, attention span, blood circulation, learning, retention, memory, and brain function. It uses a strong formulation with high concentrations of the main ingredients. This characteristic increases the trust of new users. Furthermore, users can trust this product based on its high price, which is presumably a sign of high quality. The manufacturer has also provided clear dosage instructions, which make it easy for users to use the product. However, a number of pitfalls may cause potential users to question the product’s quality and performance. First, there is no information about any possible side effects that may occur after using the product. Consequently, users might wonder what to expect apart from the alleged positive effects. Secondly, there is no satisfaction guarantee meaning that users may doubt the quality of the product. It also means that users lose their money if the product does not achieve the alleged functions. Another significant drawback is the lack of customer reviews. As a result, users who purchase products based on evidence of excellent performance from other users might have low confidence in this product. Henry Costa	reviewed Bioglan Brahmi Focus 50s	on June 29th	 and gave it a rating of 2.5.